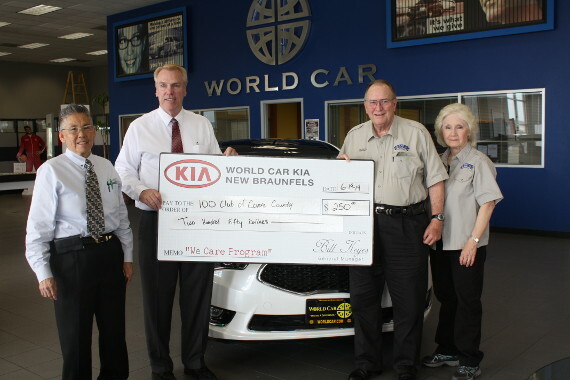 World Car Kia in New Braunfels donated $250 to the 100 Club of Comal County. Jerry Lew and Bill Keyes of World Car Kia present the check to Judd Earley, President, and Sheila Earley, Board Member. Thank you World Car!